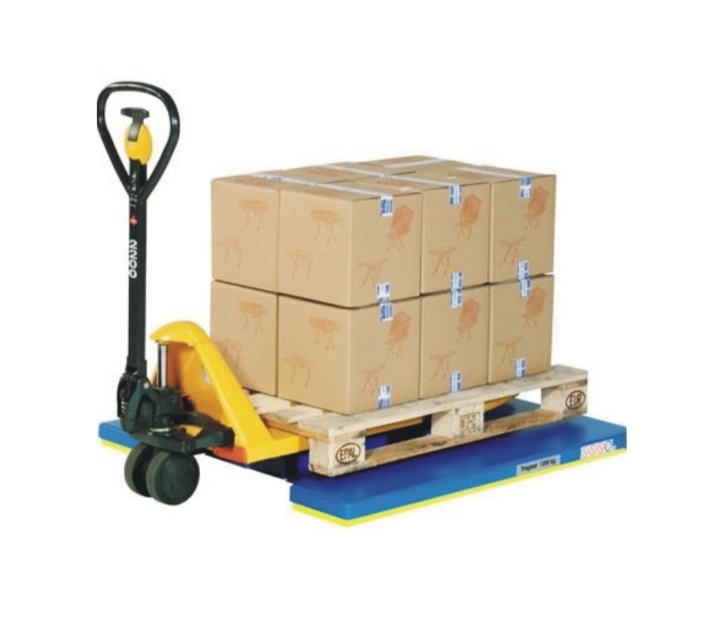 Riteload introduces an alternative solution to truck loading logistics. Riteload is faster and more efficient than conventional systems, as it provides an instant loading and distribution plan. Riteload is the first of its kind in South Africa and guarantees increased productivity and profits. An allocated load is captured on the system or dumped into a database, without conventional data capturing. As soon as the load is captured, the printer, instantly, produces a loading plan (no dragging and dropping) which indicates the exact position and placement of the items to be loaded. The vehicle is loaded according to the loading plan and departs. Coils (steel, copper, electric cable coils/drums). 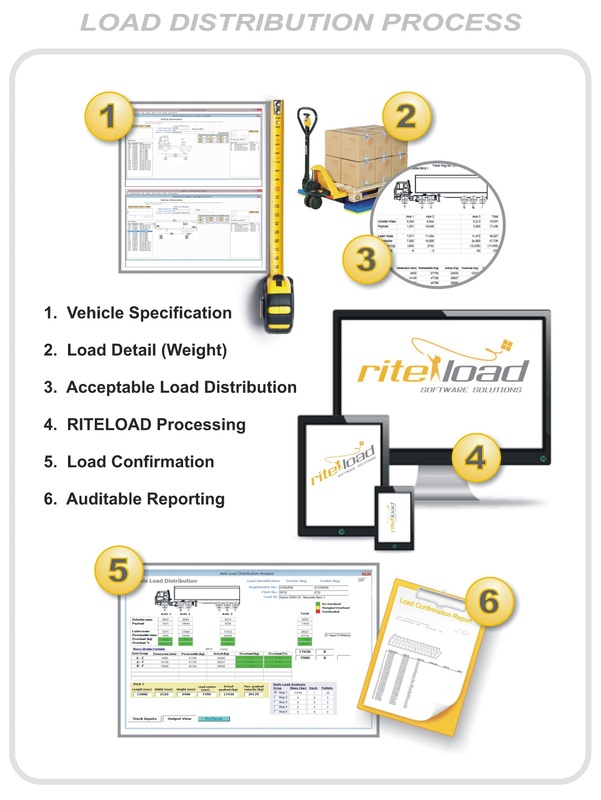 One of the main features of RITELOAD, as mentioned, is to assist companies with proper load planning and to maximise the payload of every load. Furthermore, you maintain direct legislative compliance in respect of having documentation indicating the load configuration and independent axle masses as calculated by the software. Using the software enables your company to be compliant for the anticipated AARTO (http://www.aarto.gov.za/) demerit system. 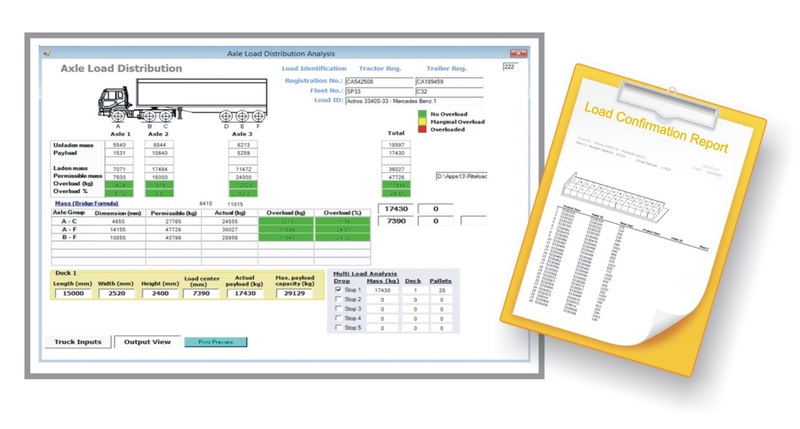 Riteload is in short is a Transport Load Planning software programme that maximises payload, sorts and positions the load, ensures mass distribution and load placement and produces a loading schedule, all in a matter of seconds. It operates within the mass regulations as set out in the RSA Road Traffic Act. We at Riteload are also firm supporters of the Road Transport Management System (RTMS) (Link to www.rtms.co.za/) is an industry-led, voluntary self-regulation scheme that encourages consignees, consignors and transport operators engaged in the road logistics value chain to implement a vehicle management system that preserves road infrastructure, improves road safety and increases the productivity of the logistics value chain. This scheme also supports the Department of Transport’s National Freight Logistics Strategy. 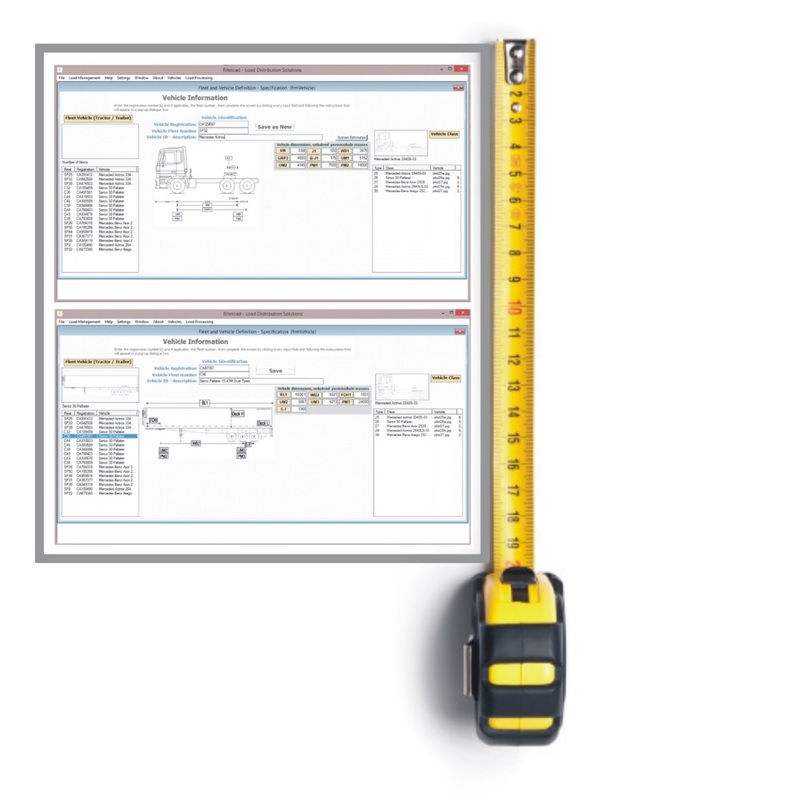 To enable the Riteload Software to function accurately and effectively, certain components and measurable information need to be made available. It is crucial to understand that without accurate information input, the desirable output will not be achieved. 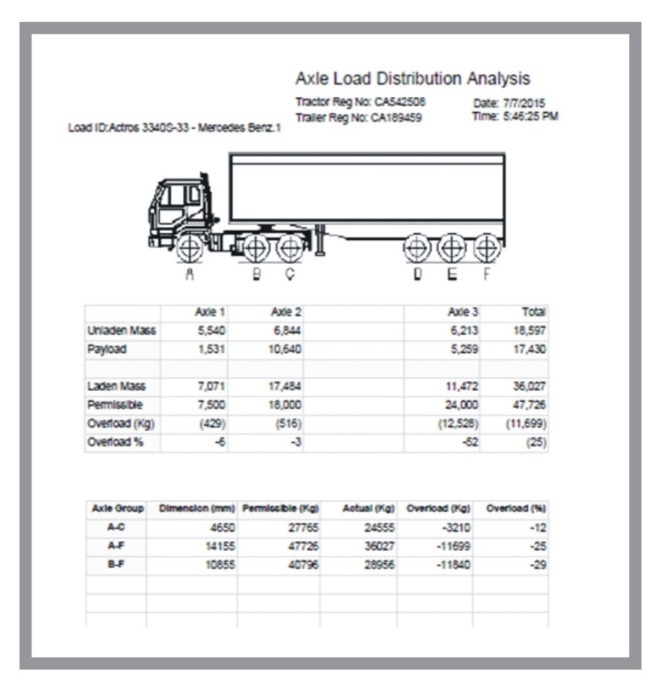 Acceptable Load Distribution – This relates to the legally allowed weight per set axle as well as overall weight and is based on trailer type, wheel placements, axle placements, etc. After the gathering of required information the Riteload Software will utilise its state of the art algorithms and process driven technology to calculate and determine the optimal payload or depending on the required action, confirm the current payload. The output will be depicted in easily interpretable screenshots or printouts and can be consolidated into management and audit reports, tailor-made and branded as per the customer’s specific requirements. The total process happens in seconds and can be used to do Load Confirmation as well as Load Optimisation.